The accounting cycle is a series of steps that companies take every accounting time period in order to manage their financial transactions. 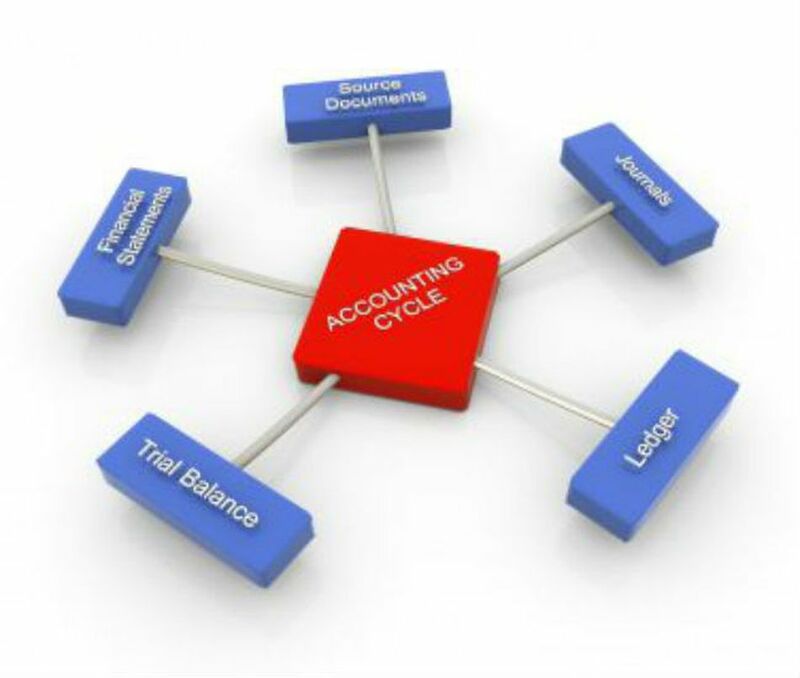 To follow the accounting cycle, you'll start by setting up your accounting system for the period. At the end of the accounting cycle, you'll be ready to close your books for the period and prepare for the next accounting period. When you start a small business, develop a chart of accounts as part of setting up your accounting and bookkeeping system. The chart of accounts is an index of all the accounts where the company files its financial information. A source document in an accounting transaction is evidence that the transaction has occurred. It should be recorded as a journal entry as soon as possible. Examples are canceled checks, invoices, purchase orders, and other business documents. When a small business makes a financial transaction, they make a journal entry in their accounting journal in order to record the transaction. If you are using dual entry accounting, you will make two entries: a debit from and a credit to the appropriate accounts. The general ledger is the main accounting record for your business. All of the business's financial transactions are taken from the general accounting journal and recorded in the general ledger in a summary form. After you complete your general ledger entries for an accounting cycle, the next step is to prepare a trial balance. A trial balance is the process of totaling the debits and credits from the general ledger to make sure they balance for the accounting period in question. Adjusting entries are made in your accounting journals at the end of an accounting period. The purpose of adjusting entries is to adjust revenues and expenses to the accounting period in which they actually occurred. There are five types of adjusting entries: accrued revenues, accrued expenses, prepaid expenses, and depreciation. All of these can have a significant impact on your monthly balance. One of the final steps in the accounting cycle is the preparation of the financial statements. The information from the accounting journal and the general ledger is used to develop the income statement, statement of retained earnings, balance sheet, and statement of cash flows, in that order. Information from the previous statement is used to develop the next statement. Closing entries are journal entries made at the end of an accounting cycle to set the balance of temporary accounts to zero to begin the next accounting period. The accounts that are closed are revenue, expense, and drawing accounts. The assets, liabilities, and owner's equity accounts are not closed because their ending balances are the beginning balances for the next accounting period.